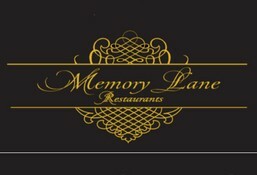 Memory Lane is currently closed for delivery and it will open at . Chicken with bone marinated overnight in hung yoghurt, flavoured with a combination of spices, delicately cooked in clay oven. Clay oven roasted baby potatoes, flavoured with five spices. Chicken with combination of Hyderabadi Nizami spices and basmati rice cooked in sealed earthen pot. Fresh flat noodles tossed in chilli paste, vegetables and crushed peanuts. Steamed wontons served in basket with spicy sauce. Veg munchow soup+rice/noodles+crispy fried vegetables+chopped ginger, garlic and scallion in soya sauce with veg balls. Veg munchow soup+rice/noodles+crispy fried vegetables+chopped garlic, onions, ginger in spicy dark brown-red sauce with cottage cheese. Chicken munchow soup+rice/noodles+crispy fried chicken+chopped ginger, garlic and scallion in soya sauce with chicken. Soya soup with chopped vegetables. Thick hot and sour soup. Thick noodle soup with lemon. Thick white soup with radish. Clear soup with spring onion. Silky noodles clear soup with balls of vegetables. Spicy Thai lemon grass clear soup. Thick Thai soup with lemon, coriander, green chillies. Thick Thai soup in coconut milk. Chicken with bone marinated in cream and cashew nut paste, delicately grilled. Chicken with bone marinated in yoghurt, cream, white pepper and dry fenugreek leaves [kasoori methi], cooked over charcoal. Chicken with bone marinated in mint paste, mustard oil, black pepper and cream, cooked in a clay oven. Chicken with bone mixed with coconut cream, royal Indian spices, cream and cheese, delicately grilled. Sliced chicken stuffed with succulent minced chicken, enriched with cheese, cashew nuts, cream and butter. Minced chicken flavoured with garlic, ginger, chillies, egg and cheese, grilled in tandoor. Minced chicken enveloped with minced lamb kebab, flavoured with Indian condiments, delicately grilled on skewers. Boneless chicken with cream, cheese, lemon and crushed black pepper, grilled in tandoor. Indian lamb chopped and mixed with aromatic Indian herbs and spices, grilled on a low tandoor flame. Chicken in tandoori masala enveloping a stuffing of minced meat. Boneless pieces of chicken marinated in cream and finely chopped mint. Chicken tikka, malai mint kebab, pahadi kebab and sheekh kebab. Boneless chicken marinated in yoghurt and a combination of royal spices. Boneless chicken marinated in green paste of herbs and spices, grilled in tandoor. Soft succulent boneless chicken mixed with pepper, lemon and chillies. Chicken chunks marinated in cream, finger and garlic paste, grilled slowly in clay tandoor. Pickle flavoured pieces of chicken marinated overnight in yoghurt and exotic spices. Selected pieces of chicken marinated in star anise, chopped garlic, ginger, spicy chillies and coated with egg. Chunks of cottage cheese marinated in yoghurt and ground spices, grilled in tandoor. Cottage cheese stuffed with grated cheese, herbs and special spices, grilled in tandoor. Cottage cheese marinated with green ground herbs, carom seeds and exotic Indian spices, grilled in tandoor. Button mushroom marinated in spices and yoghurt, grilled in tandoor. Mushrooms stuffed with a paste of green herbs or an option of a paste with white nuts and seeds. Potatoes, baby corn, cauliflower, capsicum, tomatoes and onions marinated in yoghurt and spices, grilled in tandoor. Finely chopped vegetables mixed with special spices, grilled in tandoor on skewers. Lamb seared with shahi spices, yoghurt, lemon and ginger served on a flat plan. Seared king fish marinated in Kashmiri chillies and coconut paste, served on a flat pan. Seared pomfret marinated in a paste of green herbs and spices. Whole chicken rubbed with ground black pepper, seared with butter on a flat pan. Fine mince of vegetables marinated in special Lucknowi spices, rolled in to kebabs, served on a pan. Medium spicy light brown sauce with crispy. Chopped lemon grass, onion, ginger, garlic in medium spicy yellow sauce with crispy. Crushed black pepper in soya sauce with crispy. Chopped coloured capsicum in brown spicy sauce. Chopped celery, ginger, garlic, onion, schezwan pepper in bright red sauce with crispy. Chopped garlic, onion, ginger in spicy dark red sauce. Homemade orange coloured spicy sauce with white pepper and potatoes. Chopped chilli, celery, garlic and tomato ketchup in bright red coloured sauce with baby corn. Home made light yellow coloured sauce made of orange, ginger and garlic with crispy. Home made medium spicy orange coloured barbeque sauce made of tomato, onion and garlic. Red coloured sauce made of red chillies, garlic and lemon grass. Chopped ginger, garlic, onion with crushed black pepper, lemon juice. Pan fried vegetables in butter with garden veg. Chopped chilli, celery, garlic and tomato ketchup in bright red coloured sauce. Chicken marinated in chopped ginger, garlic and red chillies, fried in red batter. Deep fried veg rolls served with sweet and spicy garlic sauce. Deep fried chicken rolls served with sweet and spicy garlic sauce. Traditional Indonesian pot rice with stir fried gravy in black pepper sauce. Traditional Indonesian dish with boiled vegetables and homemade peanut sauce. Patiently cooked whole black lentils with tomatoes and home churned butter. Split yellow lentils cooked with spinach, tempered with cumin, garlic, tomatoes and green chillies. Cooked yellow lentils cooked with spinach, tempered with cumin, garlic, tomatoes and green chillies. Creamy dal made with assorted black and yellow lentils, tomatoes and spices. Mixed vegetables cooked with chopped onions and traditional mixed spices [okhali]. Diced mixed vegetables, cooked in reddish yellow gravy. Grilled mushrooms cooked in a special red gravy. Fried lady fingers cooked with chopped onions, tomatoes, yoghurt and special pyaza spice. Fried lady fingers cooked with chopped onions, mustard paste, yoghurt and cashew paste. Mixed vegetables, cottage cheese, onions, tomatoes and capsicum in a sweet and sour sauce. Cubed cottage cheese, fresh fenugreek leaves, green peas in a aromatic tomato gravy. Fresh cottage cheese stir fried with bell peppers, cherry tomatoes, spring onion and seasoned with black pepper. Sliced cottage cheese cooked with tomatoes, nuts and seeds paste, flavoured with dried fenugreek leaves. Okra tossed with yoghurt and freshly ground black pepper seeds. Fresh cottage cheese coated with mixed spices, seared on pan. Diced potatoes pan fried with cumin seeds, tumeric powder and coriander leaves. Potatoes and cauliflower with an onion and tomato gravy. Grates cottage cheese cooked with chopped onions, tomatoes, green chillies and tempered with spices. Diced potatoes sauteed in fried fenugreek leaves, tempered with curry leaves, cumin seeds and chillies. Cubed cottage cheese cooked in butter and tomato gravy. Mashed vegetables and spinach nuggets, served in chef's special gravy. Handmade fresh cottage cheese and spinach nuggets, served in chef's special gravy. Combination of a fresh spinach paste and fresh cottage cheese, tempered tadka with Indian spices. Big cubes of cottage cheese tikka served in a delicately spiced gravy made of tomatoes and cashew nuts. Balls of mashed potatoes and cottage cheese stuffed with cheese, nuts and raisins cooked in onion and cashew nut gravy. Chopped cauliflower, beans, carrot and green peas, cooked in a tomato gravy, infused with butter. Charcoal roasted chicken in rich tomato gravy. Boneless chicken in rich baradari gravy. Charcoal roasted chicken cooked with coarse spices. Very popular Lucknowi chicken in yellow gravy. Charcoal roasted chicken cooked with onions in red gravy. Chicken pieces stewed with onions, fresh herbs and spices in a thick tomato gravy, prepared in a wok. Diced chicken cooked with kolhapuri spices, tempered with kolhapuri bedagi chillies. Chargrilled chicken simmered in butter and cream, speckled tomato gravy. Juicy chunks of chicken in a medium spiced gravy made of onions, cashew nuts and coriander leaves. Lamb shank rubbed with red pepper and spices, served in light gravy. Lamb cooked in Rajasthani red chillies gravy. Lamb tossed with baby onions and cooked in special ground spices. Minced lamb cooked with coarsely crushed spices. Pieces of lamb with bone, cooked with fried onions, red chillies, pounded spices and tomatoes. Lamb escallops cooked in yoghurt a paste of ginger, garlic, onions and cashew nuts. Sliced king fish cooked in coconut and traditional Hyderabadi onion gravy. Prawns cooked in almonds and pomegranate curry. Fish cooked in Maratha tomato curry. Garlic, finger, coconut, sesame seeds, curry leaves and ground peanuts combined to make a delicious curry. Chopped ginger, garlic and red chillies in medium spicy hoisin sauce. Soya and black pepper sauce. Spicy green sauce with spinach, ginger and garlic. Chopped lemon grass, onion, ginger and garlic in medium spicy sauce. Home made dark yellow bean sauce with chopped ginger, garlic, tumeric powder. Chopped basil, garlic, red chillies in light soya sauce. Spicy orange coloured home made sauce with bell peppers. Chopped ginger, garlic and scallions in soya sauce with balls. Sauce prepared with chopped garlic, fresh red chillies, scallions in hot chilli paste. Home made sauce with ginger, garlic, onion, fresh chillies. Home made red Thai curry paste in coconut milk. Home made Thai curry paste in coconut milk tumeric. Home made Thai curry paste in spinach, green chilli in coconut milk. Medium spicy light green curry prepared with coriander in coconut milk. Medium spicy light orange curry with red and yellow pepper in coconut milk. Steamed basmati rice tempered with butter and cumin seeds, garnished with coriander leaves. Assorted vegetables, cumin seeds, cream and butter cooked with basmati rice. Assorted vegetables, saffron and special spices cooked with basmati rice. Rice tossed in light soya sauce and butter. Red tossed in red, yellow pepper, fresh red chillies and capsicum sauce. Rice tossed in coloured peppers and burnt ginger. Rice tossed with coloured peppers, burnt ginger. Rice tossed in Singapore sauce and lemon leaves. Rice tossed in sesame seeds, cubed vegetables, light soya sauce and seasoning. Indonesian fried rice tossed in spicy sauce, served with cucumber and brown red sauce. Rice tossed with dry diced chillies and burnt garlic. Rice tossed with coloured peppers and burnt ginger. Rice cooked in butter, oyster sauce, soya sauce, served with stir fried gravy. Rice tossed in basil leaves, green chilli sauce, served with stir fried gravy. Rice cooked in red Thai curry paste, coconut milk, basil and lemon leaves. Fried Rice tossed with butter and garlic. Fresh noodles tossed in light soya sauce, vegetables and butter. Fresh noodles tossed in schezwan sauce. Fresh noodles tossed with chopped chillies, garlic and vegetables. Pan fried noodles, served with stir fried gravy. Pan fried noodles served with green spicy coriander flavoured gravy. Fresh noodles tossed in Singapore sauce and vegetables. Fresh flat noodles tossed in home made Malaysian curry paste and vegetables. Fresh noodles tossed with green assorted vegetables, chopped chillies, garlic. Fresh noodles tossed in oyster sauce with chopped garlic and vegetables. Fresh noodles tossed in oyster sauce with chopped garlic. Fresh noodles tossed with chopped black beans, mushrooms, spinach, red and yellow peppers. Combination of vegetables in light soya sauce, dark soya sauce and herbs. Green garlic sauce made with a combination of vegetables, spinach, ginger. Combination of vegetables, lemon grass, onion, ginger and garlic sauce. Combination of vegetables in light soya sauce, chopped basil, garlic and red chillies. Combination of peppers in a sauce of freshly crushed tomatoes, dried oregano, rosemary and parsley with vegetables. Combination of peppers in a sauce of freshly crushed tomatoes, dried oregano, rosemary and parsley. Steamed momos served in basket with spicy sauce. Pan fried momos served in a basket with spicy sauce. Crispy fried wontons sauce served with sweet and spicy garlic sauce. Sencha is the most popular Japanese green tea. It has a dark uniform leaf, a delicately spicy flavour and a light green colour. A delicious frangrant green tea with jasmine.Time Yuan is manufactured in the Chinese jiangxi region and features a bright taste and deep flavour. A unique combination of Sencha [green tea], delicious fruit flavours and flower petals creates the unforgettable taste of this tea. The composition of red fruits, hibiscus and elderberry, evokes the aroma of the finest ingredients of a home made jam. This unique drink combines the taste of fresh sweet apples and a slight citric flavour. Ripe cinamon in combination with re fruits makes a refreshing and fragrant drink. This fragrant and soothing tea is made of gentle chamomile and features hint of cinnamon. Lemon grass and mint give this delicate and refreshing herbal infusion, its unique flavour and restorative effect. This highly aromatic, full bodied, strong and spicy tea from Assam, Indian, with a pleasant taste and smooth malt nuance will please all black tea admirers. A blend of black leaf teas from India, Ceylon and China, scented with the finest bergamot oil. It features rich taste of top black tea with a refreshing citrus flavour. [Masala Chai] Flavoured tea beverage, made by brewing black tea and milk with mixture of aromatic spices and herbs. Freshly brewed black tea with mango puree and fresh lime. Freshly brewed black tea with cranberry puree and fresh lime. Freshly brewed green tea with peach puree and fresh lemon juice. Freshly brewed green tea with strawberry puree anise and lemon juice. Freshly brewed red berry fruit tea with passion fruit puree. Freshly brewed red berry fruit tea with black cherry puree. Ferrero rocher milkshake topped with mixed nuts. Served with ice cream. Oreo milk shake, topped with crushed Oreo. Served with ice cream. Pineapple milkshake with fresh pineapple pieces and coconut milk. Served with ice cream. Mango and peach milk shake with chopped mango, topped with white chocolate sauce. Served with ice cream. Strawberry milk shake with chopped strawberry and chia seeds. Served with ice cream. Mixed berry milk shake with chopped mixed berries. Served with ice cream. Raspberry milk shake with chopped raspberries. Served with ice cream. Pineapple and coconut blended with orange. Served with syrup. Pineapple and coconut blended with orange. Served with fruit purees. Cranberry and peach blended with orange and lemon juice. Served with fruit purees or syrups. Mango blended with cranberry and passion fruit. Served with fruit purees or syrups. Melon blended with passion fruit. Served with fruit purees or syrups. Pineapple blended with pomegranate juice and mango. Served with fruit purees or syrups. Passion fruit mojito with crushed oranges, mint leaves topped with ginger ale. Kiwi and green apple mojito topped with ginger ale. Cranberry and apple mojito with mint leaves, topped with ginger ale. Lavender and mint mojito with mint leaves, topped with ginger ale. Orange and pineapple mojito topped with ginger ale. Strawberry, kiwi, milk and ice cream. Strawberry, cocoa, vanilla and milk. Mixed berries, orange juice, honey, banana and yoghurt.